For some people, the image of London is inseparable with the dim and dusty vision of the city painted by Charles Dickens in numerous works – it doesn’t have the nickname “The Big Smoke” for nothing! Fortunately, things have advanced massively since the Dickensian era and these days London streets are generally scrubbed and spotless, with recycling at an all-time high and waste collection schemes working effectively to clean up the city. The battle isn’t won yet, though; in fact, it never will be. 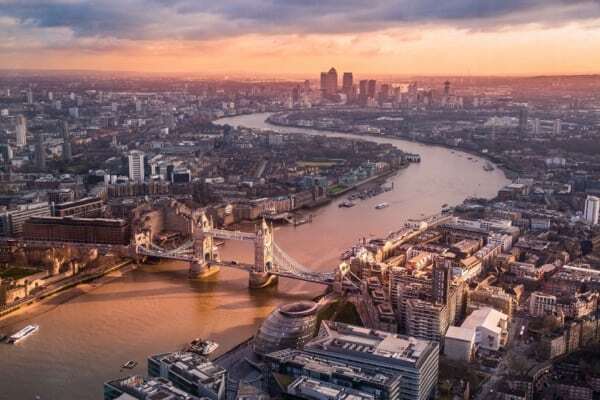 As the population increases, keeping London clean is an ongoing concern which requires a concerted effort on the part of everyone who lives, works and visits the UK capital. Here are four ways in which you can do your bit to help keep London clean for today, tomorrow and for future generations. According to a survey carried out by Keep Britain Tidy in 2015, 86% of Britons find littering disgusting – but a staggering 28% of people admit to doing it. Environmental officers have the power to impose on-the-spot fines to anyone caught littering (63,000 of them were given out in 2012) but still the problem persists; don’t be part of it! In fact, you can be part of the solution by picking up litter wherever you see it and depositing it into the nearest rubbish bin – it only takes a minute and cumulatively could make a huge difference to the city’s overall cleanliness. While individual littering is bad enough, corporate waste can add up to a far bigger problem. Those businesses who have slipped into bad habits regarding their waste disposal methods probably don’t even realise they’re doing anything wrong – but they could be contributing to a city-wide problem. Ensure you don’t fall into that category by employing professional waste and recycling services from a reputable company to reduce your impact on the environment and keep London’s streets free from unsightly bags of rubbish. Many hands make light work. With that in mind, you could maximise your impact on London’s cleanliness by organising or participating in a community project to help keep things neat and tidy. There is a government scheme (named the Capital Clean-up Community Toolkit) which has been running for several years and has overseen well over a thousand schemes take place to date. From gardening and graffiti removal to litter collection and recycling assistance, there are plenty of things you could be getting your teeth into. Although the city’s streets are a significant improvement on the days of yesteryear, unfortunately London still suffers from a serious air pollution problem. In fact, some parts of the city exceeded EU recommended levels of pollutants for the whole year in just a week! You could help to monitor the extent of the issue by taking part in Friends of the Earth’s Clean Air Campaign – all you need to do is order an air monitoring kit online, install it at a location of your choice and then send the equipment back two weeks later. You can benefit from the insights gained from the results and contribute to better overall awareness of air pollution hotspots.